This book has been listed in my “Currently Reading” bucket for six months because I couldn’t decide how to review it. The twist ending lives up to the hype, to say the least. I finished it in the middle of the night and then was too freaked out to sleep. Instead, I paced back and forth between my kids’ rooms to make sure they were still there and alive. Then I immediately gave the book away so I wouldn’t have to look at the cover. 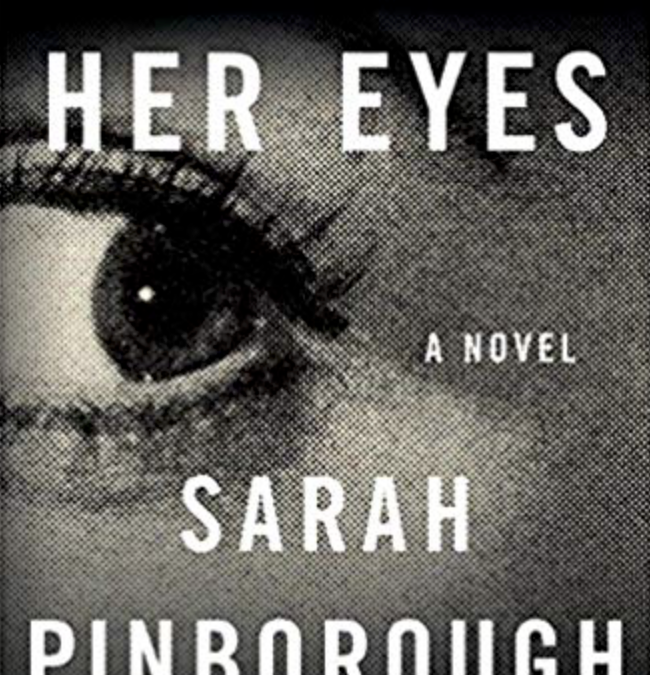 Yes, you read that right, the cover, which is nothing but a close-up of a woman’s eye. Now that I’ve settled down and have some distance, I can’t give the book less than 4 stars simply because it was so disturbingly powerful. The ending may be divisive for other readers, so I’ll say this much. If you liked Lois Duncan as a child, you’ll love BEHIND HER EYES.